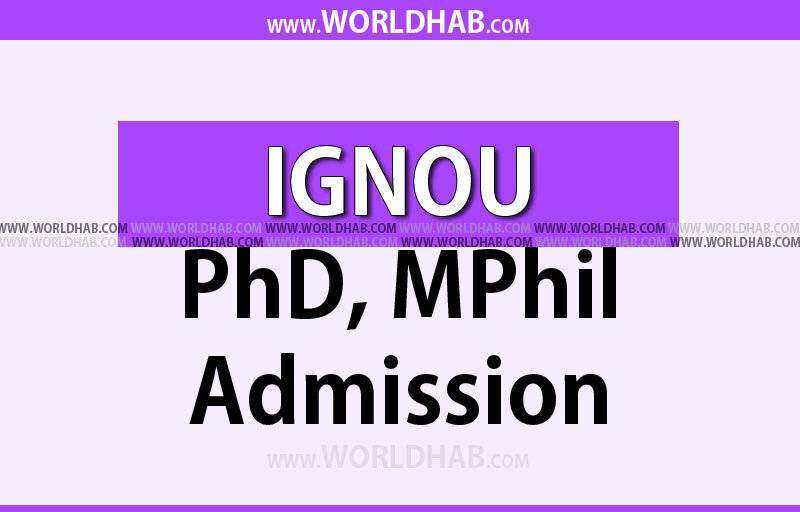 IGNOU – Indira Gandhi National Open University has been extended the admission’s last date to August 3, Thursday for the programmes of PhD and MPhil. The University has invited applications for the programme of MPhil in chemistry and geography. Also, they invited applications for PhD in biochemistry, chemistry, French, gender and development studies, geography, geology, journalism and mass communication, fine arts, physics, theatre arts, statistics and women’s studies. The entrance examination for the various courses has scheduled and it will be held as per the date on August 20 (Sunday) in various selected centres across India. The research unit director of the Indira Gandhi National Open University, K Barik has said that the last date for admission to PhD and MPhil programmes have been extended till 3 August 2017. About Indira Gandhi National Open University (IGNOU), which began academic programmes in 1987. Currently, the University enrols over 3 million students in India and even other countries through 21 schools of studies and a network of 67 regional centres, around 2,667 learner support centres and 29 overseas partner institutions.